Introducing Our All Time Greats! 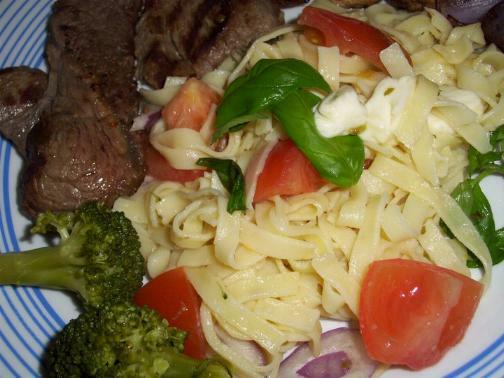 A bed of toasted buttered fettuccine pasta with basil and tomatoes combined in a flavourful roasted beef and topped with parsley, sided with steamed broccoli. You don’t have to be ravenous to eat this course; you can savour it at any time. It does simply pick-up your appetite the moment you try. Spicy, alluring, healthy, delicious and scintillating are words to describe this bohemian pasta dish. Chunks of beef spiced up and cooked into perfection bring savoury flavour to pasta. Glazed with butter on top and a drizzle of sour cream is added. You can tuck in to this hot or mild according to your whim yet the flavour is timeless.